Monitor Temperature, Seismic & Flow in Mining, Mineral Extraction & Exploration | Silixa Ltd. Ore extraction and processing is challenging to monitor, largely as a result of the large size scales and difficult environmental conditions inherent to mining operations. Current operations often suffer from a lack of sensing solutions, which can lead to reliance on error-prone estimates. Distributed fibre optic sensing seeks to fill this gap, both for brownfield and greenfield projects, by making it possible to monitor temperature, seismic, and flow over large regions without any need for electrical power at the point of sensing. Since 2007, Silixa has led the adoption of high fidelity distributed acoustic sensing (DAS) and distributed temperature sensing (DTS) for main-stream problem solving in Oil & Gas and Environmental applications. 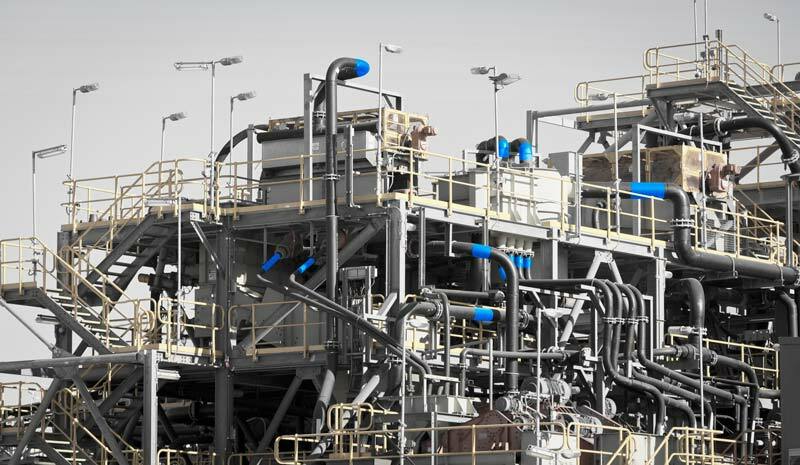 More recently, Silixa’s collaborators in the mining industry, including Anglo American, have championed the ability to cross-pollinate this technology into minerals extraction and exploration processes. Silixa’s process metering product enables to measure every flow in a plant non-intrusively, using a single length of fibre.